The Fitzroy Georgian style solid cast brass 5 light chandelier with beige shades, crafted entirely by hand from solid brass and hand finished in a mellow natural brass. A stunning high quality chandelier, with a detailed ribbed ceiling mount and brass chain suspension. 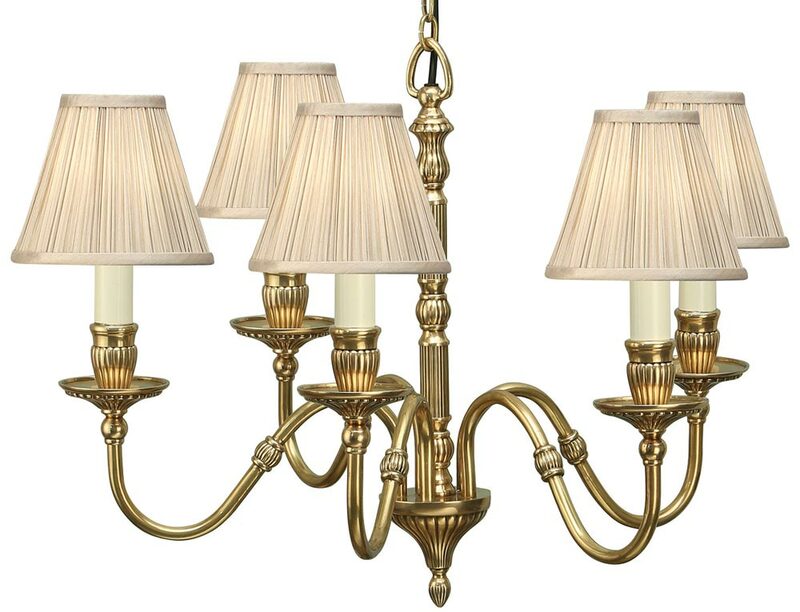 Highly detailed ribbed central rod and five double curved arms fitted with brass candle pans and ivory candle tubes. Supplied with 6-inch beige pleated organza fabric shades fitted with a solid brass fixed gimbal. Height adjustable at the time of installation by removing chain links, minimum height 70 cm, maximum drop 160 cm. A class 2 double insulated chandelier, no earth required. 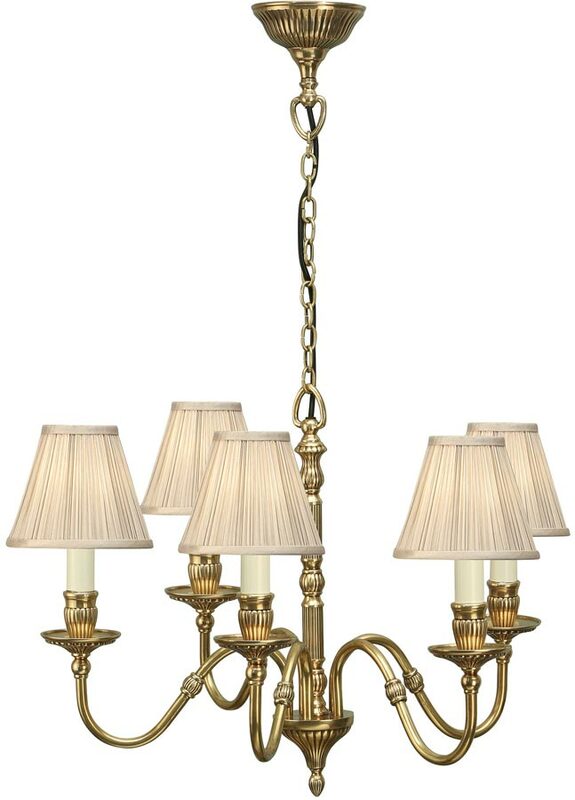 The Fitzroy Georgian style solid cast brass 5 light chandelier with beige shades, part of the Rochamp collection of solid cast brass light fittings. Made entirely by hand using traditional sand casting techniques passed down through generations. The parts are then polished before being patinated to give an aged look.